For you to actually be a Nobel peace laureate you have to have won the Nobel peace prize. This prize is awarded to only those people that have done outstanding work with regard to promoting good correlations between nations, promoting reduction or depletion of armies that are active and holding or encouraging peace congresses. It is one among the five Nobel prizes. The others are physics, chemistry, literature and medicine and physiology. 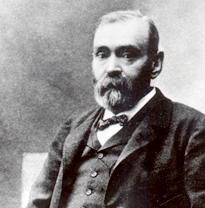 It was established in 1895 by Alfred Nobel. It is awarded annually by the Norwegian Nobel Committee. Each person that receives the prize is awarded a medal, a diploma and to top it all up a monetary prize. The peace prize is unique such that it is the only one that in some instances it is awarded to organisations. All the rest are given to individuals. Different organisations and people have received this prize for their outstanding contributions to peace. Since its debut, the Nobel Prize has been given to 103 people and 23 organisations. The award has in some years been given to multiple people. It has been awarded to 16 women. It is the award that has not been awarded for 19 years since it was started. Here we will discuss about a number of them. The two organisations mentioned above are the only two to win the Nobel Peace Prize multiple times. The International Committee of the Red Cross won it three times in the years mentioned (1917, 1944, and 1963). This was as a result of them taking human rights as their primary goals. First they were concerned about inmates and making sure that they had ties to their families. Next was their involvement in the world war. The office of the United Nations High Commissioner for Refugees has won it two times namely (1954 and 1981). The above mentioned won it because it is a relief organisation. Martin Luther King Jr was from the United States of America. He won the prize in the year of 1964. He won it because he was a chief campaigner for civil rights. 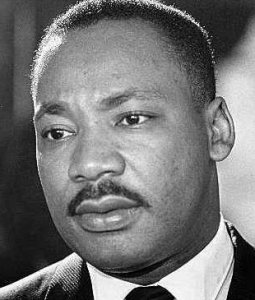 He was the first person ever from the western countries to show that a war could be raised for civil rights peacefully. He is remembered for some of his “I have a dream” speech for August 28 1963. 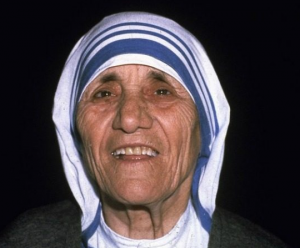 Mother Teresa is the other public figure. She was from India but was born in Albania. She won the Nobel peace prize in the year 1979. His was as a result of her founding the missionaries of charity. This was a roman congregation that prided itself in running homes for people aiding from leprosy, HIV/AIDS and tuberculosis. In addition to this they had orphanages counselling programs and dispensaries. Members to this had to give their all to help the above named individuals. Nelson Mandela is another figure from South Africa whose name is in the books for clinching the prize. His was in the year 1993. He was among the people who took part in the peaceful abolition of the apartheid regime. He was on the fore front of establishing a democratic South Africa. As for Kenyans,they had Wangari Muta Maathai who won the peace prize. She won the prize in the year 2004. She was the first African woman to win the prize. She won as a result of her standing up against political oppression in Kenya. She contributed towards development, democracy and peace in the nation of Kenya. 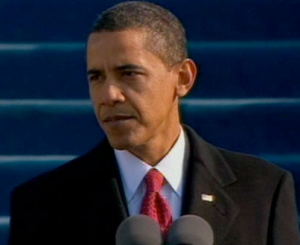 President Barack Obama is the other figure that is known for winning the prize. He is the president of the United States of America. He won it in the year 2009. He won it because he encouraged international diplomacy and also encouraged peaceful coexistence among people. His was also made possible when he talked about a vision to see the world rid of nuclear weapons. In connection with all that information for people who have received a Nobel Prize we decided to collect the information on the blessings got by President Obama from his kindred pioneers of different nations. Take a look at the 10 best gifts World Leader Gave the Obama. And because we are talking about gifts and prizes and because the love is this feeling that makes you feel better, we would like to recommend you some thoughtful ideas for Valentine Gifts for Her because the wife in your life taking care of you and your children. By giving her a special present you can show her your appreciated. Taking the above into consideration, we can come to a conclusion that the Nobel Peace Prize is awarded to people who have done something to either build peaceful coexistence or aided people during a time of need. So currently there are many people and organisations that are campaigning for peace. As a result it is hard to pinpoint a specific winner for the year 2016. It will be announced on Friday 7 October, 11:00 a.m. CET. I hope that all the people anticipating will actually put into practice and encourage peace.